Open Gapps Are Now Available For Oreo 8.1 Devices - AndroGuider | One Stop For The Techy You! If you have ever flashed a custom ROM on your device, you would have definitely heard of Google apps packages (Gapps). 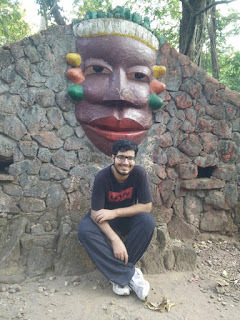 Gapps are flashable ZIP files which are flashed right after installing a custom ROM. Open Gapps is one of the most popular offerings of Gapps and the project now supports Android 8.1 Oreo. Oreo 8.1 based Open Gapps can now be downloaded for any architecture - ARM, ARM64, x86 and x86_64. It's worth noting here that the Oreo based Gapps packages are currently of "beta quality". 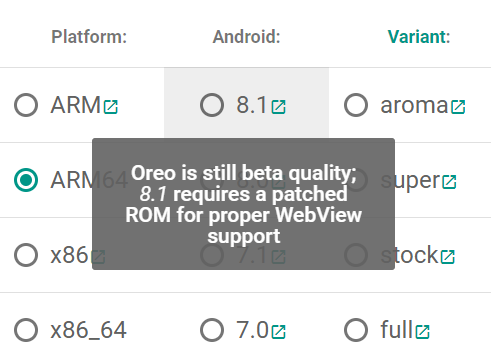 When you will try to select the Android version as 8.0 or 8.1 on the Open Gapps website, you will get a message stating, "Oreo is still beta quality; 8.0/8.1 requires a patched ROM for proper WebView support." This message holds significance only for a small portion of users who wish to customize their WebView provider. I have expanded on the same in the following paragraph. WebView is a component of Android which is used by apps for rendering webpages. Web browsers like Chrome and Firefox use their own rendering engines, so WebView isn't applicable to them. Other Android apps (like that of Facebook) make use of the "selected" WebView provider. Since Nougat, there is a feature in Developer Options which allows you to choose the WebView provider. As shown in the image above, there are several WebView providers to choose from, namely Chrome (to use Chrome as a WebProvider you need to have a version of Chrome installed - Stable, Dev or Canary), Google WebView and AOSP WebView. In the AOSP code, only the AOSP WebView is defined. So if you were to use a ROM built off AOSP (without any modifications and patches), you would find that only the AOSP WebView is listed in the Developer Options. For all the WebView providers to be listed, custom ROMs have to incorporate a couple of patches (patch one, patch two) into their source. These patches have to be included because custom ROMs are based on the AOSP code, and thus only the AOSP WebView is defined by default. To expose all the WebProviders, the given set of patches have to be included. Once all the patches have been included, all WebView providers will be shown under the Developer Options. The above set of screenshots were taken from a "patched" ROM. If you don't care about the WebView provider, it shouldn't matter whether the ROM you are using is patched or not. In case you aren't sure which WebView provider to go for, I would recommend using Chrome WebView. I flashed Open Gapps on top of an official build of Resurrection Remix. Upon booting, I installed Chrome and checked out the WebView providers from under Developer Options. As shown above, all WebView providers are being shown, meaning that the ROM is patched. 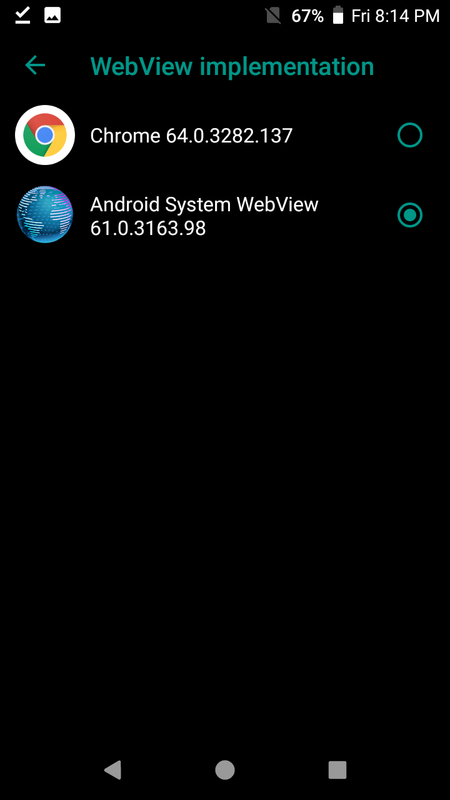 (Note: In Oreo AOSP, AOSP WebView has been renamed to as Android System WebView). You can follow the steps I did and find out whether the ROM you are using is patched or not. For some unknown reason, the Open Gapps application is no longer available on the Play Store. 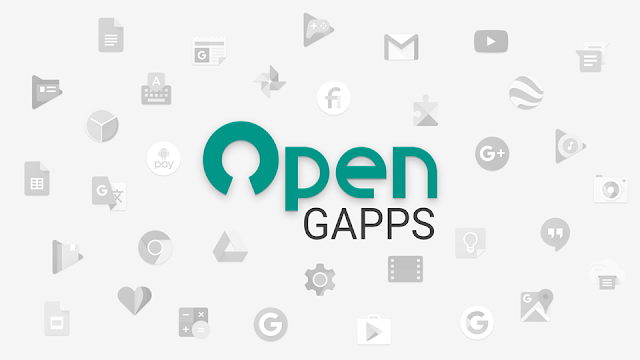 You will therefore have to download the Oreo Gapps package from the website of Open Gapps (even if you install the Open Gapps APK, you still won't be able to download Gapps for 8.0/8.1).